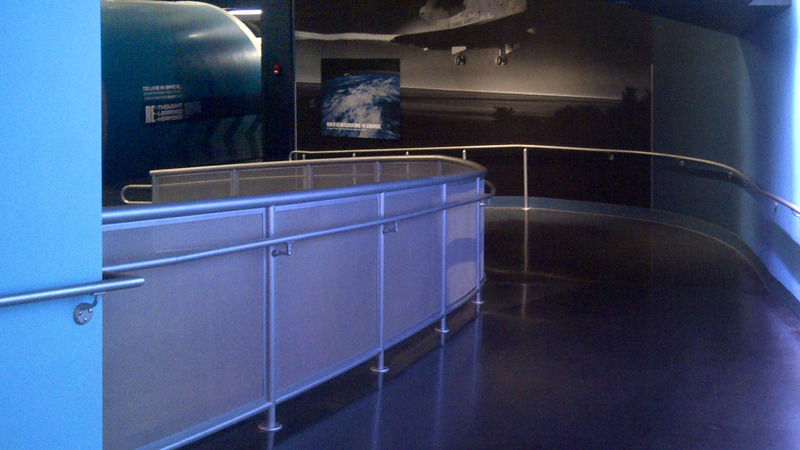 Architectural curved glass and metal railing, custom fabrications. 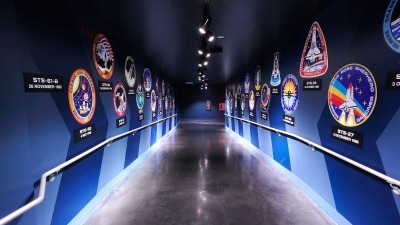 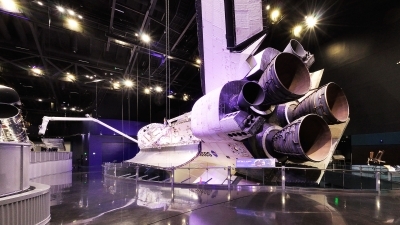 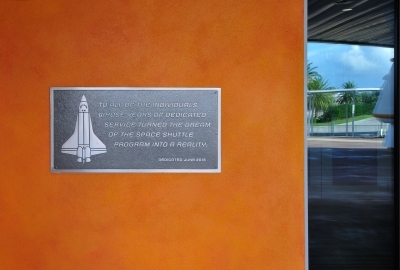 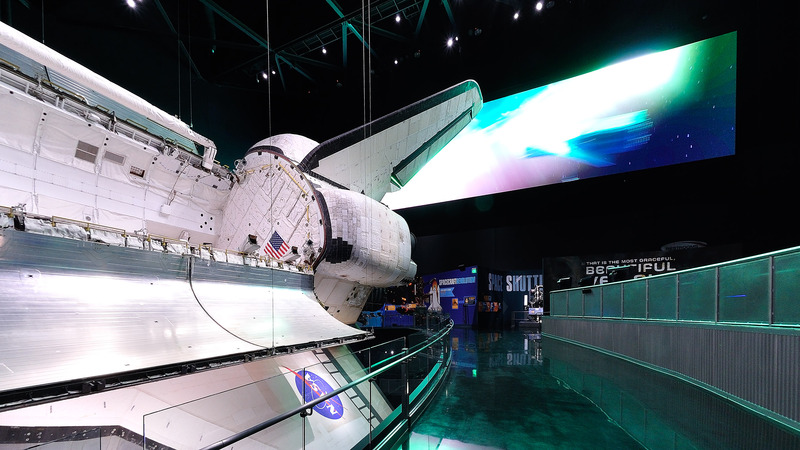 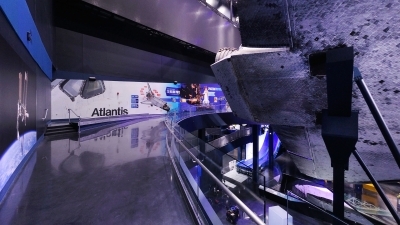 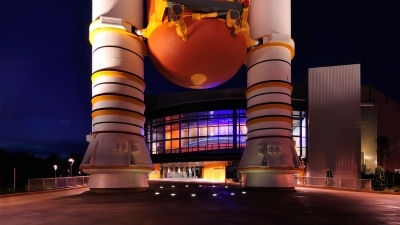 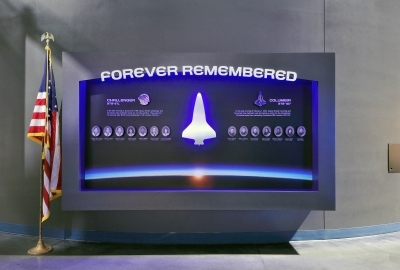 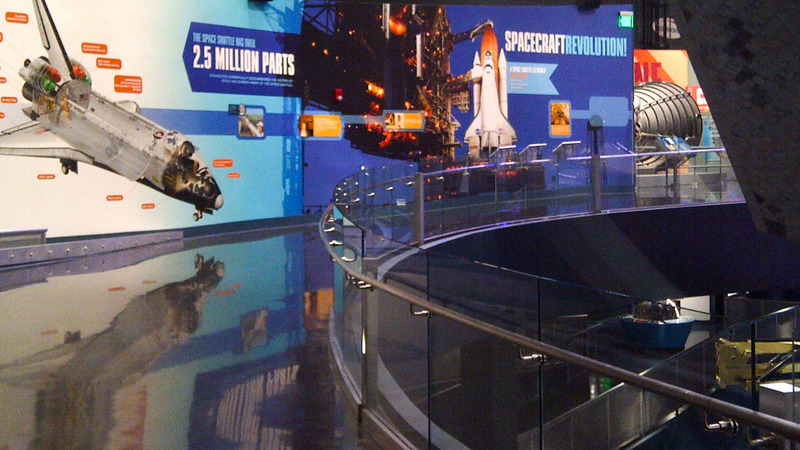 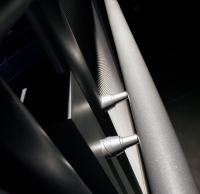 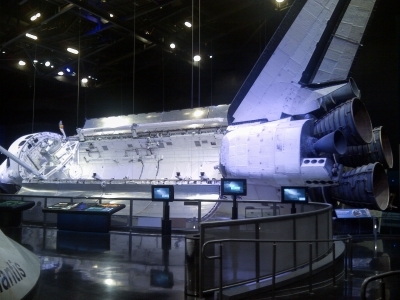 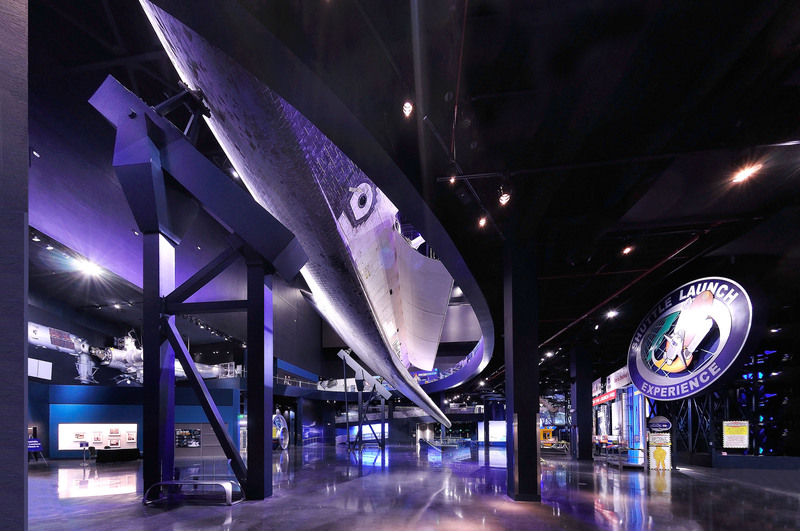 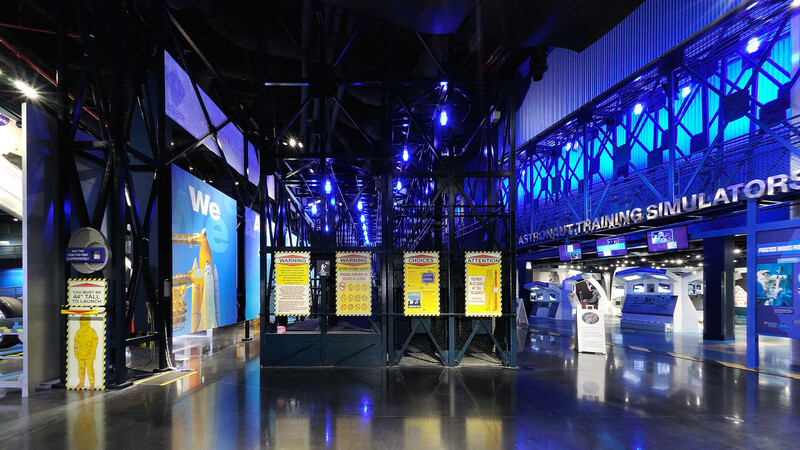 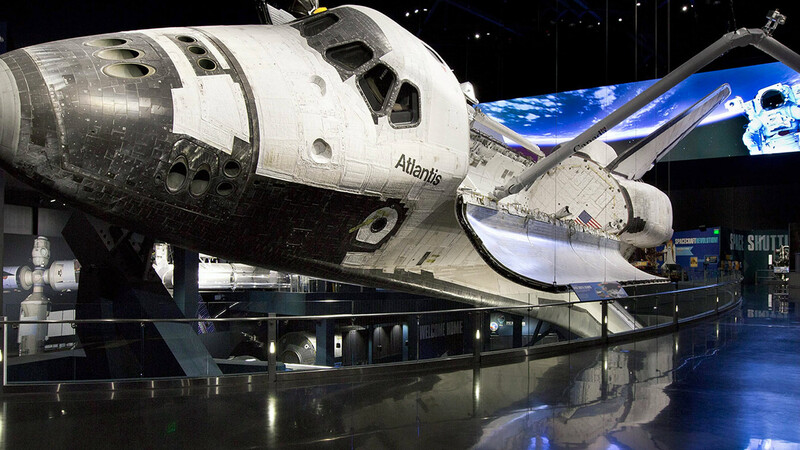 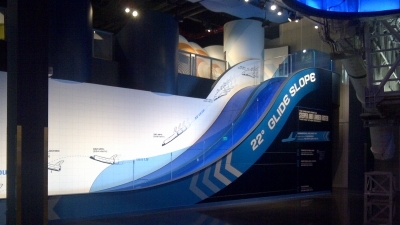 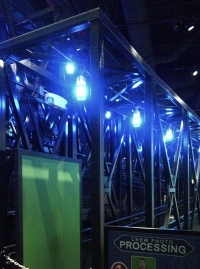 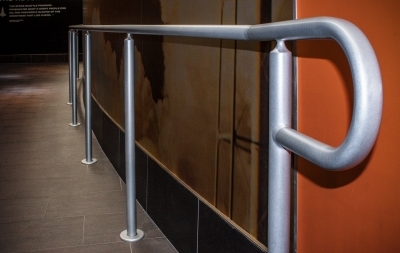 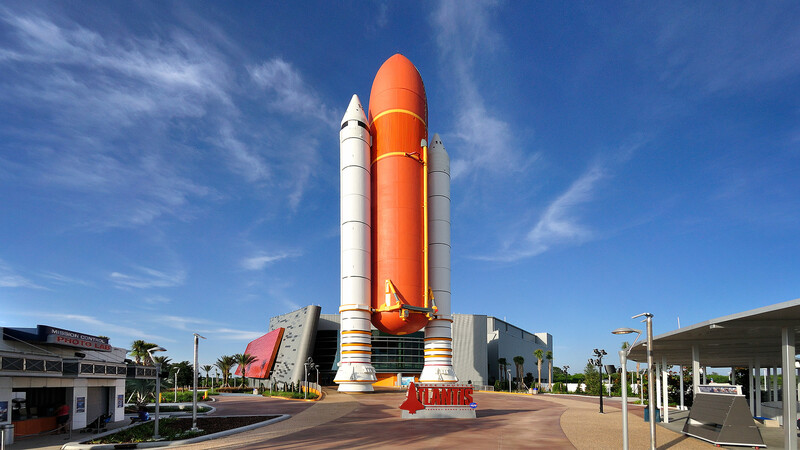 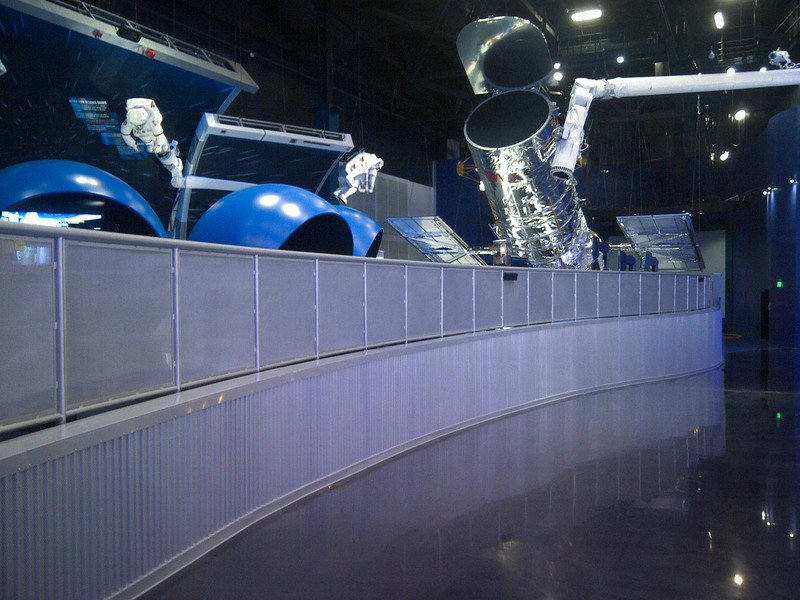 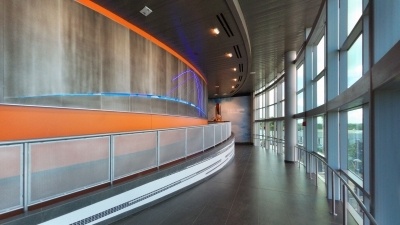 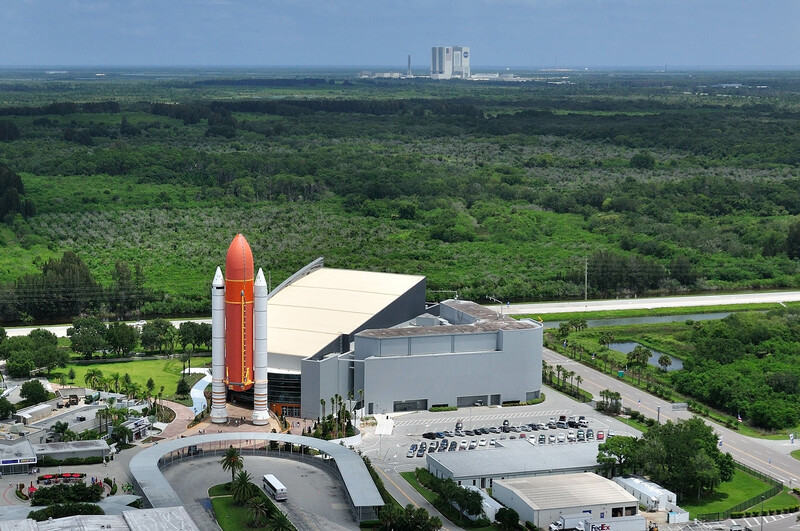 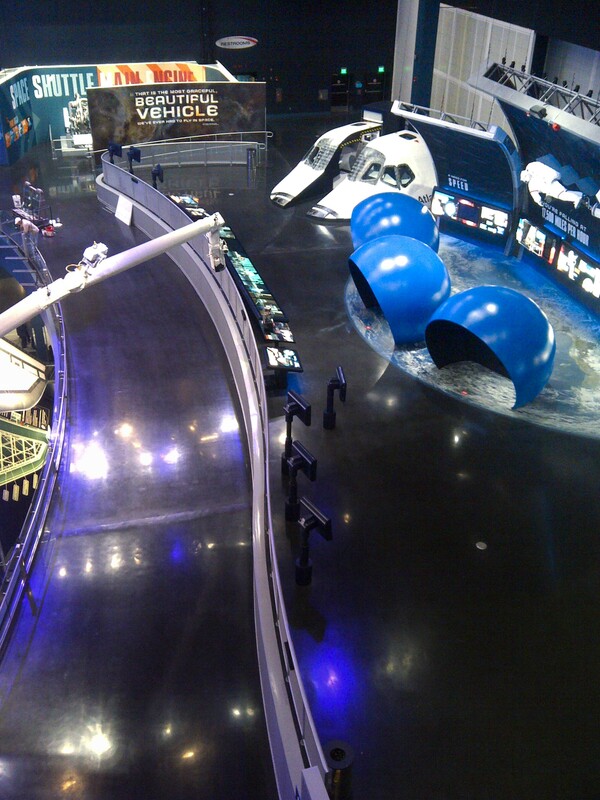 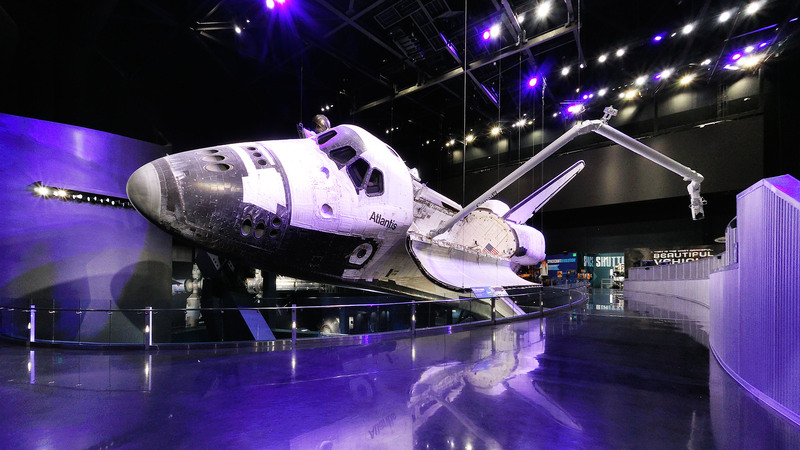 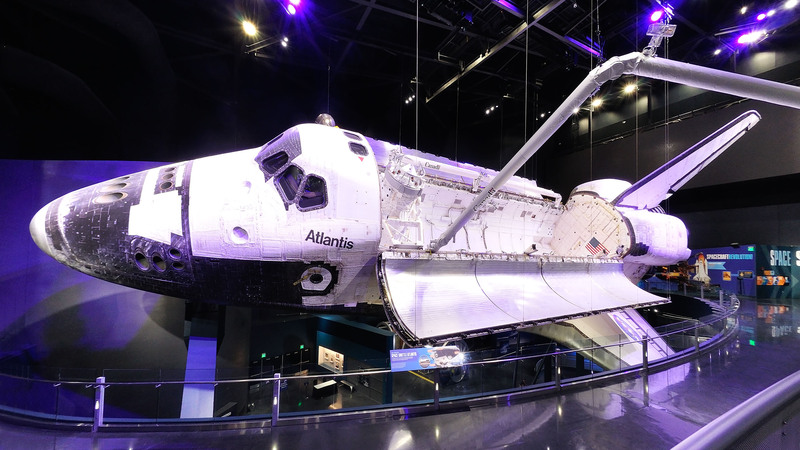 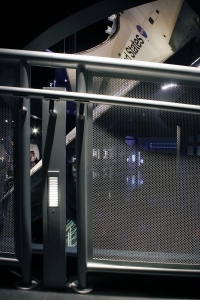 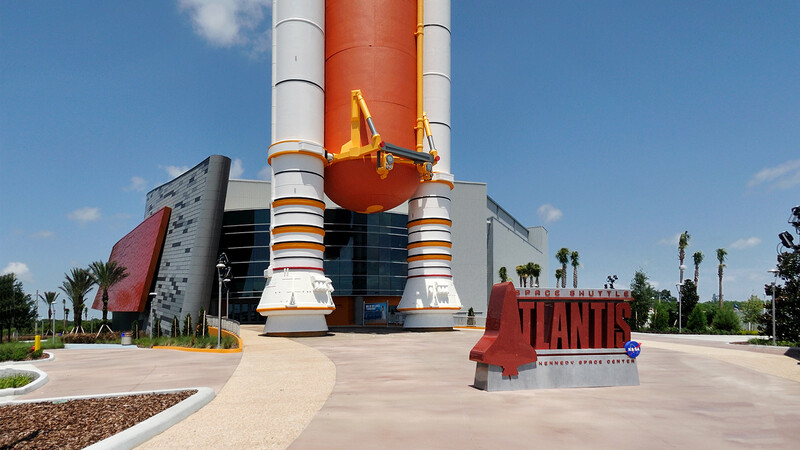 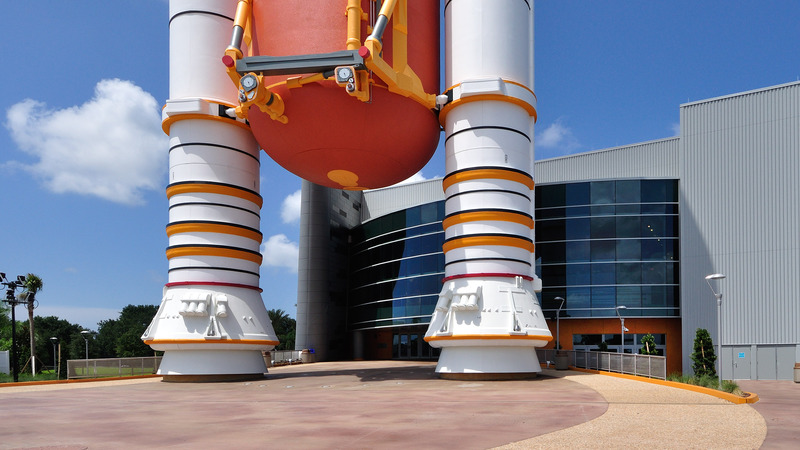 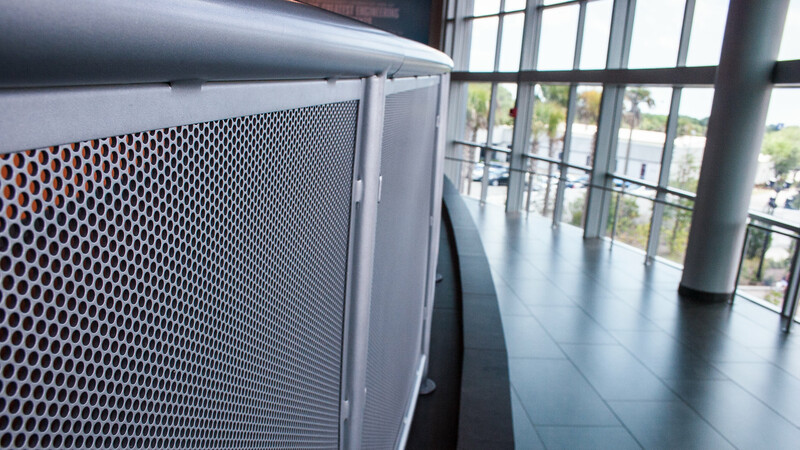 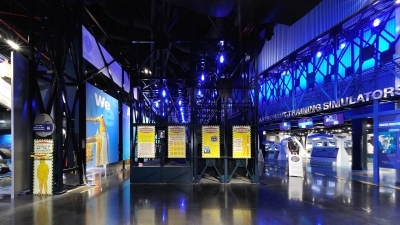 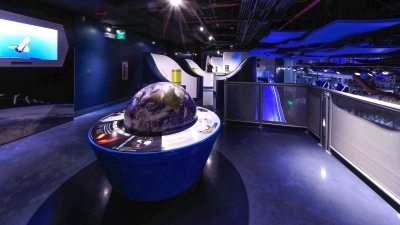 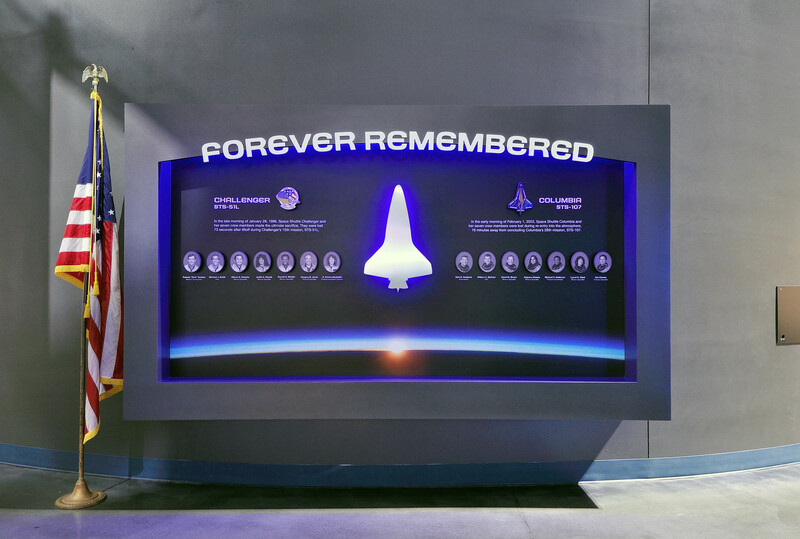 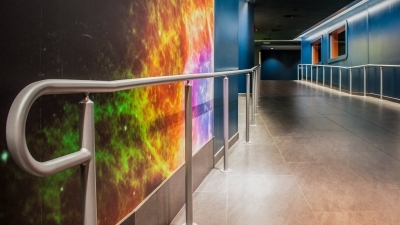 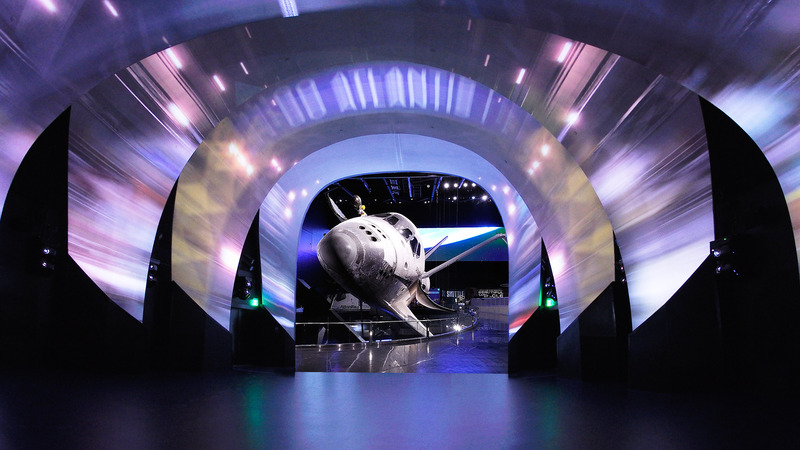 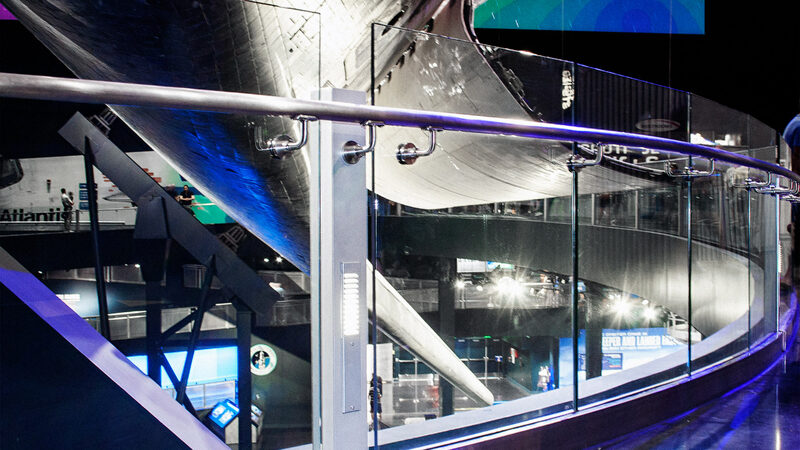 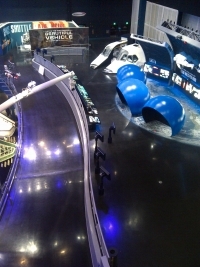 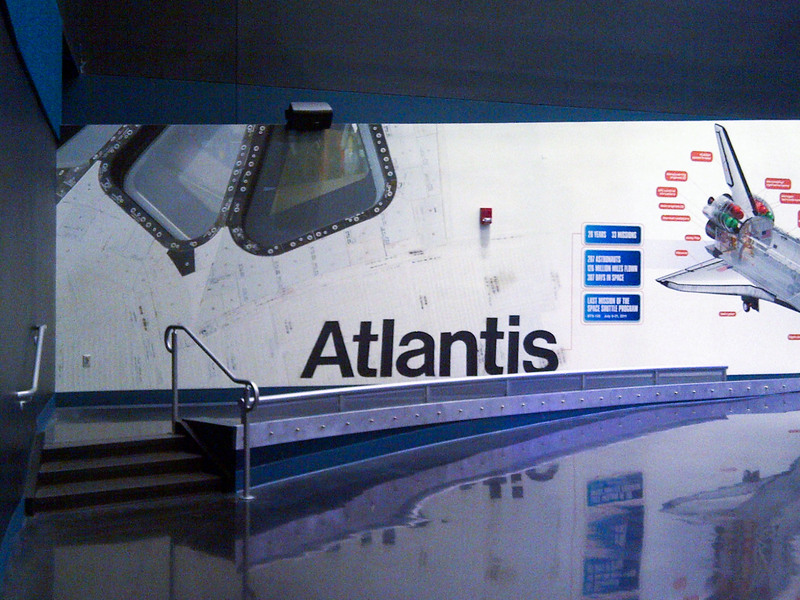 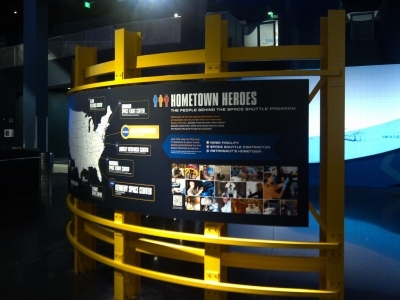 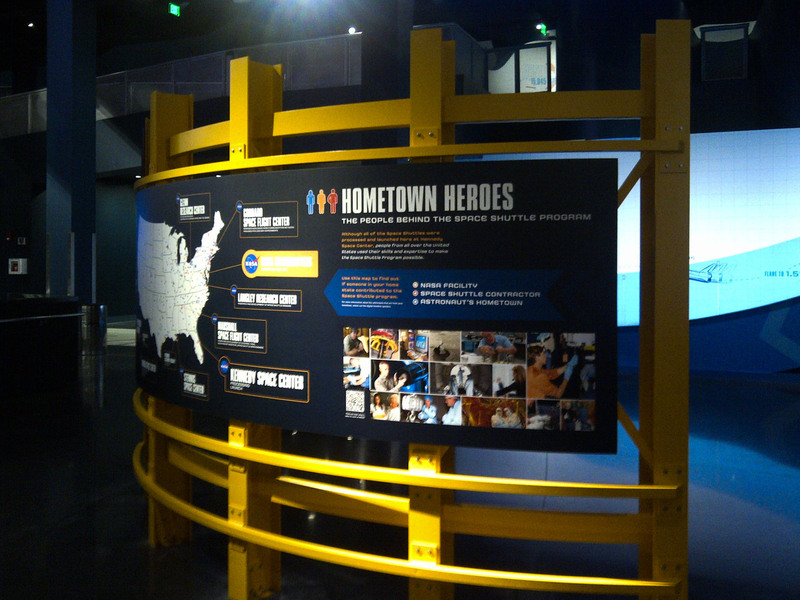 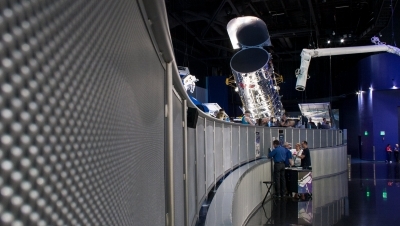 Poma created another high profile for the decorative railing package on the Space Shuttle Atlantis Exhibit at the Kennedy Space Center Visitor Complex. This included coordination, furnishing and installation of custom railings with multiple radii, angles and elevations – both inside and outside the building. The railings are located in hight traffic goes areas and will be seen by millions of park visitors each year. 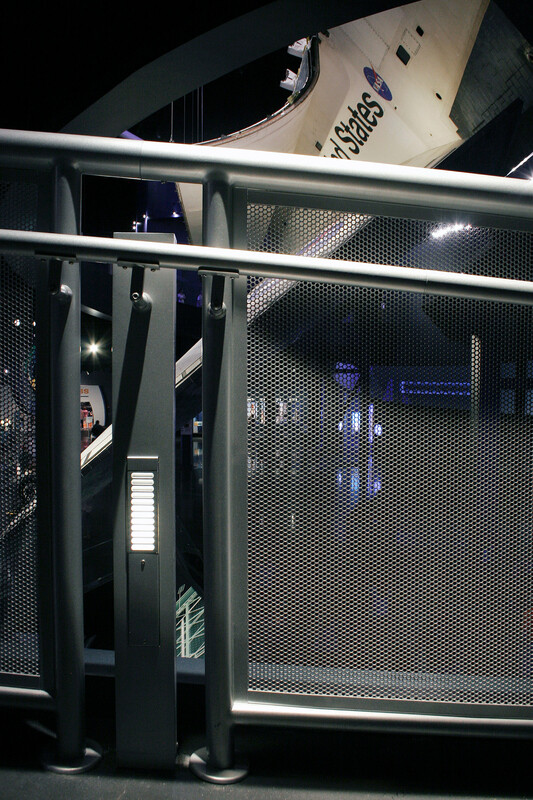 Scope of Work: Design, fabrication and installation of custom stair rails, guardrails and handrails including: perforated stainless steel rail along sloping curved entry ramp curbs; perforated aluminum rail along curved spectator balcony; stainless steel glass rail along sloping curved shuttle viewing platform; custom aluminum light fixtures; custom glass safety guards; aluminum simulated gantry framing. 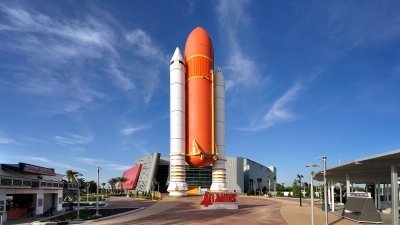 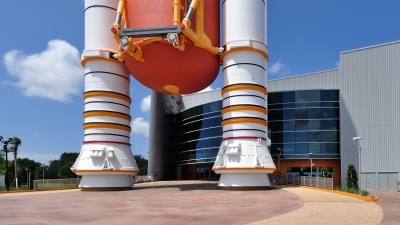 The Kennedy Space Center Visitor’s Complex is a new construction project, designed by PGAV Architects and built by Whiting Turner. 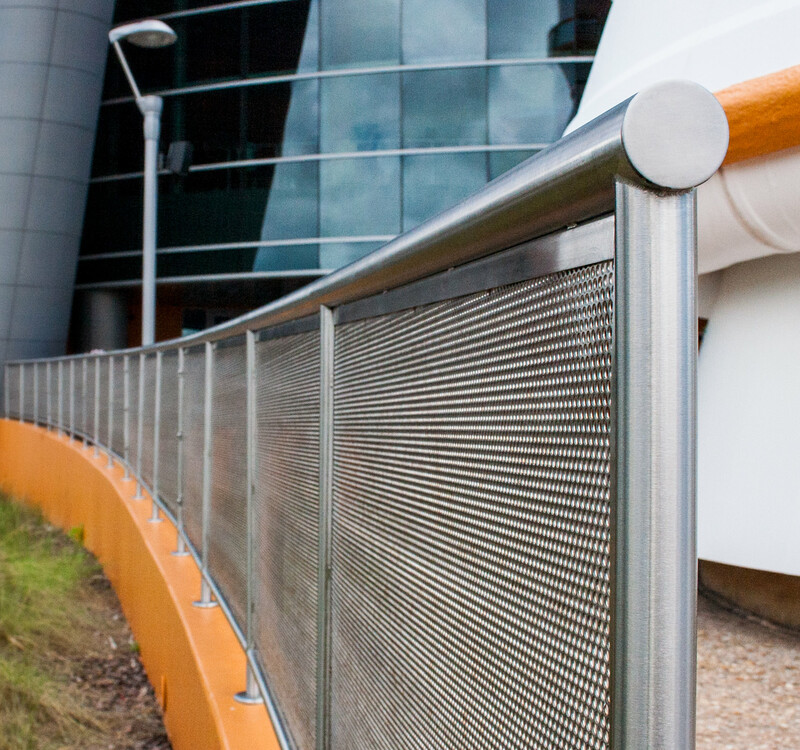 Poma performed very well on this challenging, high-profile project. 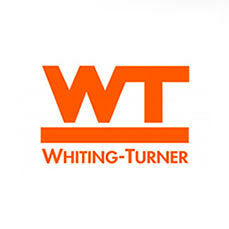 Whiting-Turner would recommend Poma and would not hesitate to contract with Poma for future services.